My English education may be described as eclectic and incomplete. Although I have a master’s degree in English, my undergraduate degree is in psychology. I sometimes use that fact to excuse myself for not knowing what I think I should know had I spent four years studying English as an undergrad. 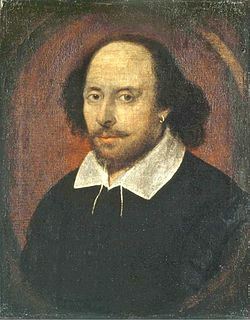 I confess that I have still not read all of Shakespeare’s plays. But that’s not so bad, is it? There, there. What if Shakespeare’s plays were all lost? Wouldn’t there still be English degrees? Many years ago, prior to the Internet and prior to the commencement of my English studies, I was reading William Gilman’s Selected Writings of Ralph Waldo Emerson. Gilman opens his introduction by saying that “Like Bottom, Emerson once confessed, he wanted to play all the parts.” I had no idea who Bottom was. Was he a friend of Emerson’s? A philosopher? A clergyman? I had no idea. Not a big deal. I just assumed he must have been someone that Emerson knew and admired and perhaps corresponded with. And every time I picked up my well-worn edition of Gilman’s Emerson, I would wonder, just for a second or two, who Bottom was.